Officials have considered rerouting Last Chance Grade inland since the current route was cut in 1933. 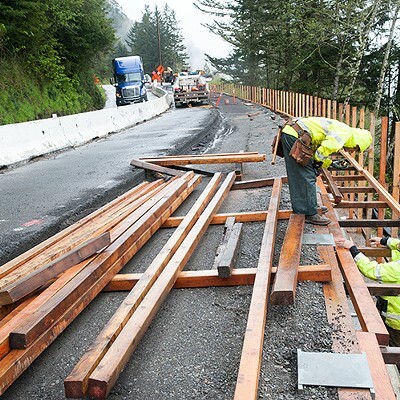 More funding could be coming to the help fix the 3-mile-long stretch of U.S. Highway 101 in Del Norte County known as Last Chance Grade in the race to ward off the billion dollar economic loss a catastrophic failure could cost. 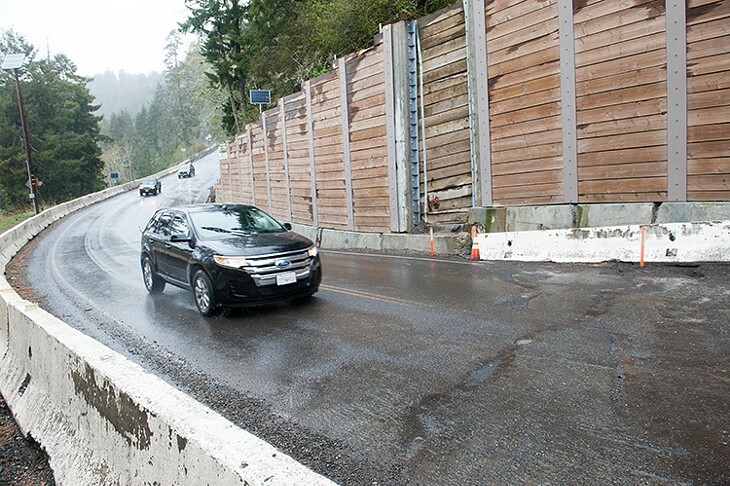 Connecting California’s northern coastal reaches to the rest of the state, the roadway is falling into the Pacific, having shifted some 50 feet west since 1937. 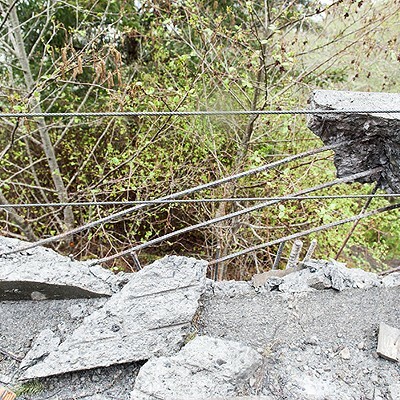 According to a release, Caltrans is slated to request $40 million from the California Transportation Commission to aid in finding a solution for the failing section with an ominous name. 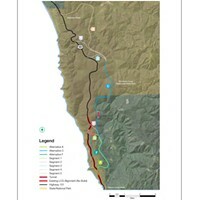 The money would go toward completing the environmental studies needed to move forward with a project that comes with just about every conceivable stumbling block possible — from old growth redwoods to unstable terrain to a United Nations’ World Heritage site. Then, there’s the price tag — estimated between $300 million to $1 billion, depending on which of six alternative routes move forward. Meanwhile, more than $55 million has been spent on temporary fixes over the last decade. Read previous Journal coverage about the complicated story of Last Chance Grade here, here and here. 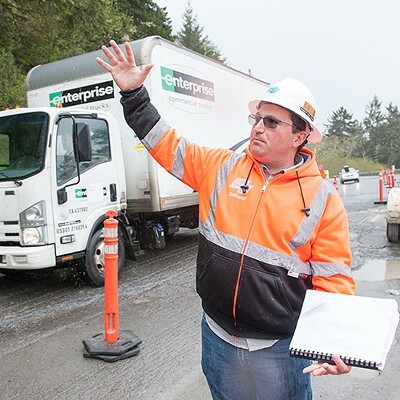 Some $10 million has already been invested in geotechnical studies and the initial environmental study in an effort to nail down which of the potential options would be the best one. The funding request is slated to go before the commission in March. 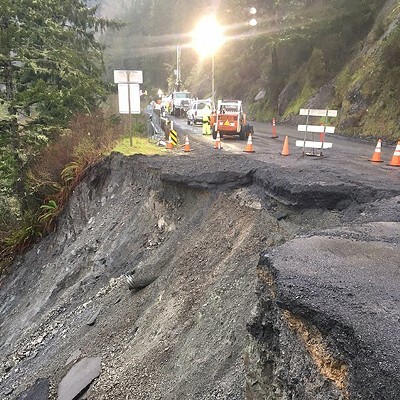 Sacramento, CA – For decades, the residents of Del Norte and Humboldt Counties have been in search of a permanent fix for Highway 101's Last Chance Grade as it continues to slide into the Pacific. 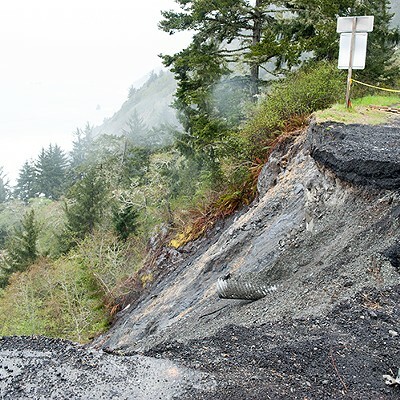 The Last Chance Grade is the lifeblood of Del Norte County’s economy and a catastrophic failure would have a $1-1.5 billion negative impact on the regional economy. Over the last 24 months, progress has been made. 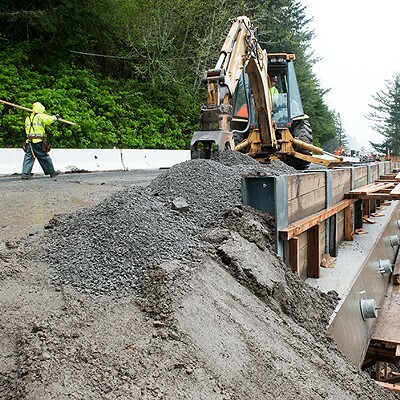 More funding was advanced compared to any other time in history through the State of California’s $10 million investment in the geotechnical studies and the launch of the environmental study, which will narrow down all the inland route options to one preferred option. Today, a partnership including Congressman Jared Huffman, Senator Mike McGuire, and Assemblymember Jim Wood, are thrilled to announce that Caltrans will request the final $40 million needed to complete the overall Last Chance Grade environmental study. Caltrans plans for the request to be on the California Transportation Commission's March agenda. 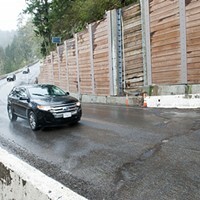 The $40 million would cover the costs for all of the necessary environmental work. 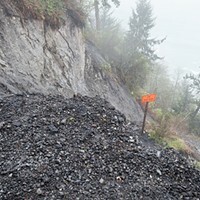 Over the past decade, more than $55 million has been spent on temporary fixes to protect the Last Chance Grade right of way. 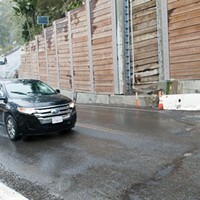 If approved, the $40 million request from Caltrans to the California Transportation Commission will secure all the necessary funds for the environmental impact report needed to design a long-term fix for the Last Chance Grade. 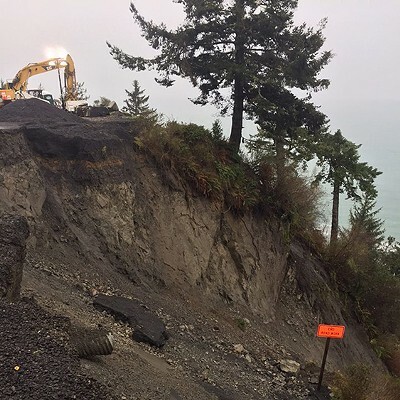 Significant geotechnical work is currently underway on the Last Chance Grade and the funding for the final environmental studies will bring the project to its next phase. 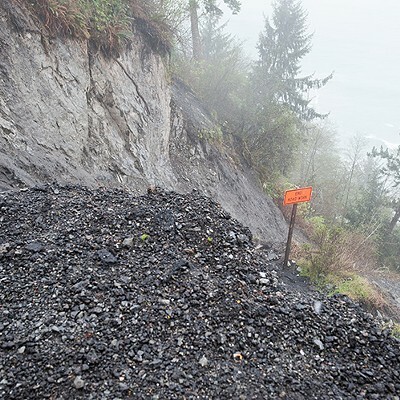 While there are numerous safety procedures in place, there is no viable alternative route in the event of a complete failure of the roadway due to a landslide. 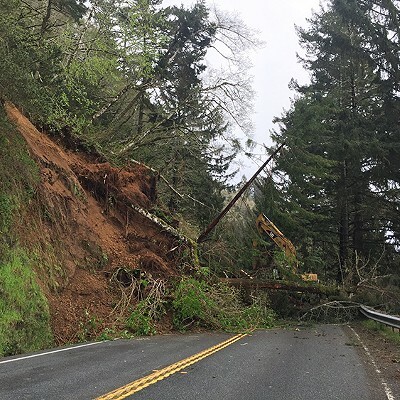 Without a detour, complete failure would isolate Del Norte County from the North Coast of California. Residents could be cut off from medical care, schools, and other important services and the economic impacts would be devastating.